Used and secondhand Jewellery Boxes for sale. Comparing the best second hand auction and classsified sites. MATTELMONSTER HIGH DRACULAURA COFFIN BED JEWELRY BOX INCLUDING ACCESSORIES SHOES CLOTHES PURSES GREAT PHYSICAL CONDITIONS IF YOU HAVE ANY QUESTIONS REGARDING THE ITEM, PLEASE FEEL FREE TO CONTACT ME. Handmade wooden French Style Phone with stash Box Item Details:-Handmade-in excellent condition -It is (approximately): 10.75" H x 9" L x 5" W inside the box is: 5"
Michael Kors Leather Gift Box Accessories/Jewellery Velvet Lined With Pouch. Condition is Used. Dispatched with Royal Mail 2nd Class. 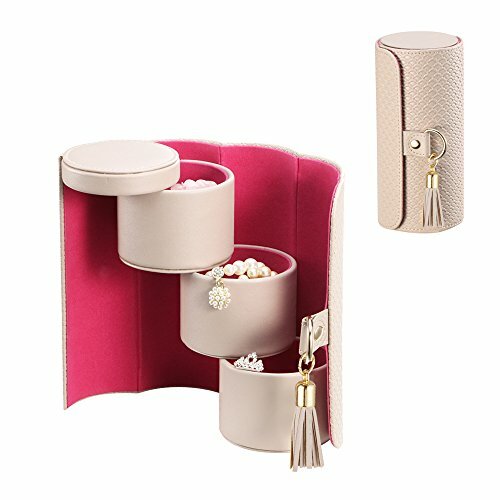 Small Accessories Box Pink Polka Dots Bedroom Gold Jewellery Storage . Condition is Used. Dispatched with Royal Mail 1st Class. Guess gift box for jewellery/accessories. Condition is Used. Dispatched with Royal Mail 1st Class. Lovely little ceramic box from Next.Ideal for use on a dressing table for rings and other small pieces of jewellery.Great condition.Measures 3.5 x 3.5 inches.2.5 inches tall.Fast postage. Vintage Sanrio Purple Bear Jewelry Accessories Box RARE 1989. Condition is Used. Shipped with USPS First Class Package. Women's Beauty Box-Shower Items, Jewellery, Hair Accessories, Nail Varnish?